New Delhi: Rohan Chandra, an aerospace engineering student of UPES, Dehradun completed his first-level training to become an astronaut at the Mars Academy. Rohan was the only Indian student in the crew of seven team members. 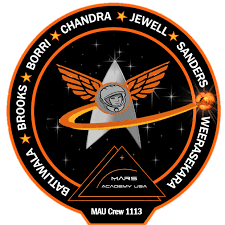 The mission incorporated S.T.E.A.M.E.D (Science, Technology, Engineering, Arts, Mathematics, Exponentials, Digital VRAR) and human factors projects wherein crew members conducted simulations and Extra-Vehicular Activities (EVA) in a replicated Mars-like environment in California, USA. Rohan was also part of the Poland Mars Analogue Simulation (PMAS) 2017, organized by the Space Exploration Project Group in collaboration with European Space Agency. The mission’s aim was to evaluate the joint human and robotic surface operations on the Mars and Lunar surface. Talking about this achievement Dr. Ugur Guven, Senior Professor – Aerospace Department (UPES) and Advisory Council Member at UN Center for Space Science and Space Technology Education in Asia Pacific said, “It is a matter of great pride for us as most Indian kids dream of being an astronaut and Rohan is following his dreams with our support. The achievement adds to the recent success stories of UPES students who have excelled at various aerospace competitions and trainings of global stature. The extensive training will prepare Rohan for the role he will have to play when he eventually pursues his career in aerospace sector. “There will be a great demand in India for Aerospace professionals as well as trained crew members and astronauts with the recent advances by the private sector in the space community. I am confident that when the time comes, Rohan will be at the forefront of these opportunities due to his special training”, he further added.